People row for various reasons, most often to get fit (or fitter), to develop or improve their rowing technique and to be part of a team or group. Club sessions are scheduled for Saturday mornings, Sunday mornings and Thursday evenings. These outings are coordinated by the club coach or other accredited member to carry out our safety procedures. Members that have passed the safety accreditation are free to row on the main river at any time. Members without a safety accreditation may row at any time under the control of another accredited member. COMPETITIVE ATHLETES – the club benefits from having a full time, Level 3 coach, with international success with the GB Junior Team. Men’s and Women’s squads are coordinated with structured training plans and supervised outings. 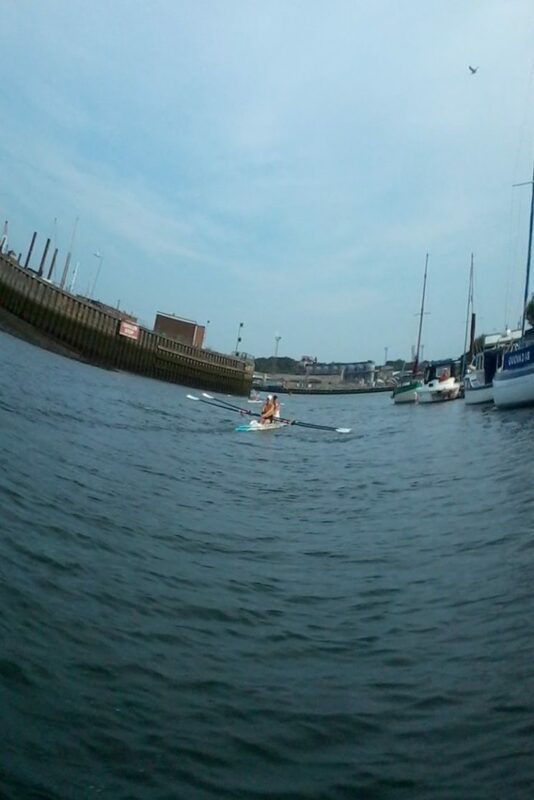 BEGINNERS – please look at our Learn 2 Row page. Can I have a try-out first? 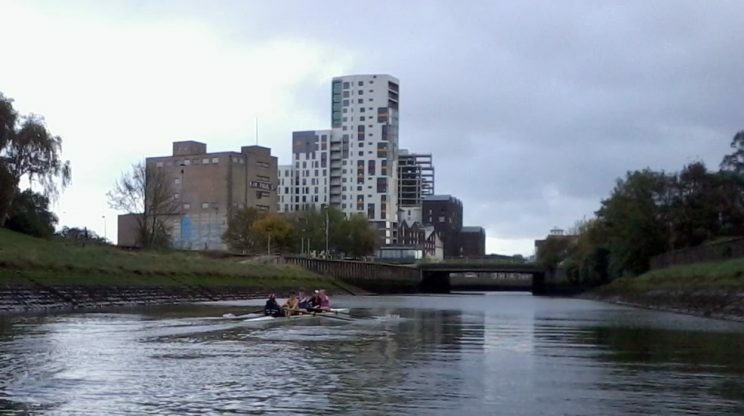 – Yes – we would suggest that you have a Taster session before committing to the Learn to Row course. Each taster session lasts about two hours and starts with the basic process on a rowing machine, ‘dry rowing’ on land to learn how to handle the oars and then a trip on the river in a racing boat. Taster sessions cost just £10 and are available during the daytime, evenings during the summer, and Saturday and Sunday afternoons. Contact Us to make your arrangements for your session. SAFETY – The safety of our members is paramount during their time at the club and on the water. Open waterways are busy places with an ever increasing number of pleasure boats. The Port of Ipswich is a busy, successful, commercial enterprise with large ocean-going ships manoeuvring in the dock area. Ipswich RC has a comprehensive and robust Safety Manual and Code of Practice which must be followed by every rower. This ensures that shipping movements are always known in advance and safety risks are minimised.